Will Montagu be flooded again this Winter Season ? get flooded again this winter? 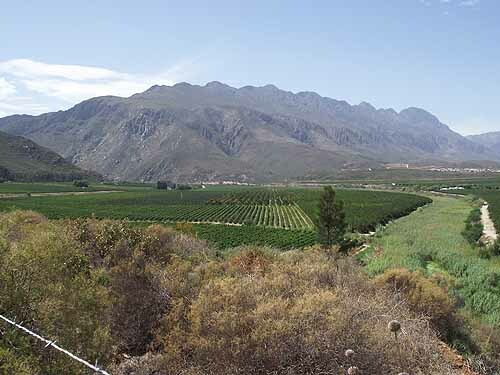 In the heart of the Robertson valley are two towns which are at the centre of the fruit and wine industry. Both of these towns are built on the banks of rivers which flood regularly. There have been a number of floods over the years, the largest in recent history (which reached the 100 year flood level ) was in November of 2008. During this flood the town of Montagu was flooded and the town's people were cut off from the outside world for days. 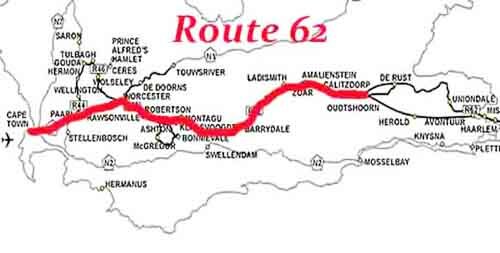 Montagu is situated on Route 62 which runs from Worcester in the west to Oudtshoorn in the east. 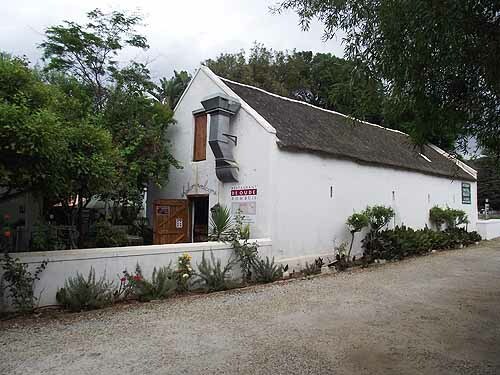 It is a popular route for people visiting the Garden Route or going to Oudtshoorn. 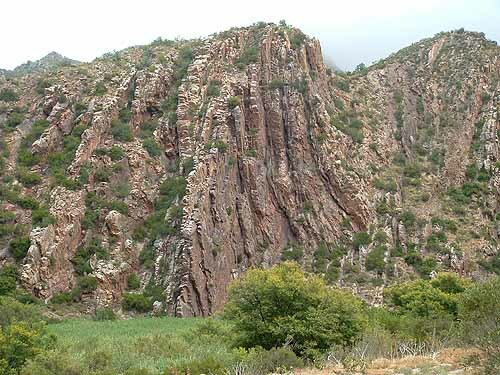 The area around Montagu is mountainous and lends itself to hiking and mountain climbing. 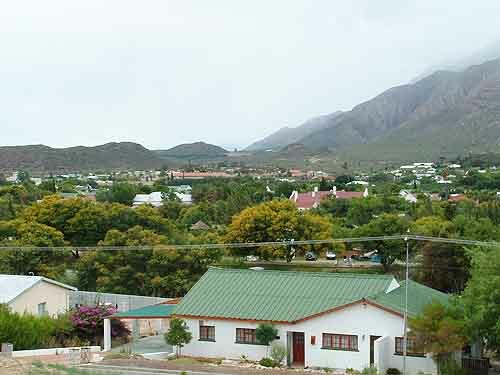 What is interesting about Montagu is that it is situated between two rivers, the Keisie river to the west which flows through the town and the Kingna river to the east which flows along the eastern boundary of the town. 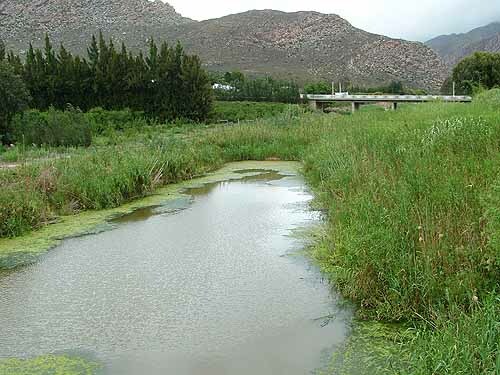 The Keisie river has its source in the Langeberg mountains and flows into the town along the Badskloof valley. The kloof is also used for hiking by visitors to the area and boasts a number of trails. 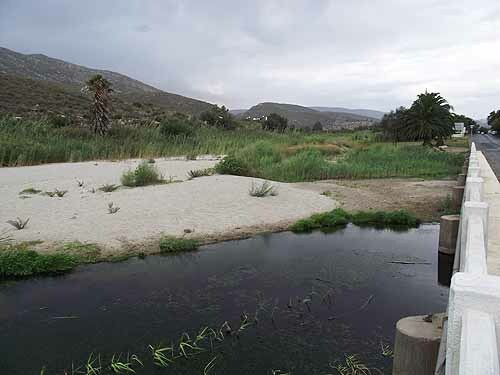 The starting point of the trails is at the entrance to the Badskloof Reserve where one has to cross the Keisie river via a low water bridge. 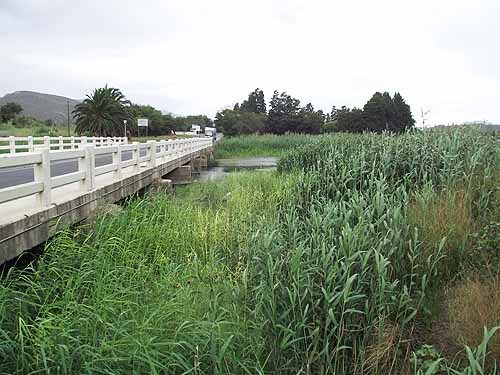 What is immediately noticeable when crossing this bridge are the reeds which grow in the the river bed. They cover the whole of the river and must cause problems when the river is filled with water. 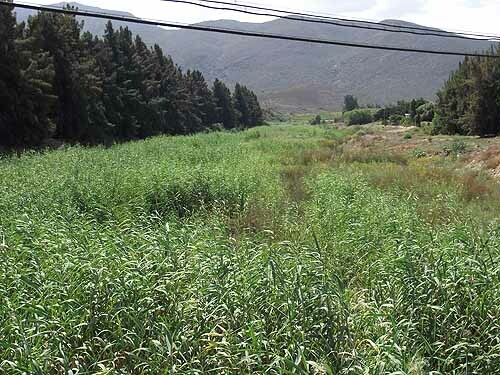 Not only do the reeds grow in the immediate vicinity of the entrance to the Badskloof reserve but the whole length of the river from Montagu to Ashton and beyond. As the area is prone to flooding I asked the official manning the gate at the entrance to Badskloof whether the Municipality ever cleared the river bed of reeds as the reeds surely slowed the water in the river down which could lead to flooding. She told me that the Municipality when they cleared the river bed used bulldozers to do so but that they were not planning to do so as the bulldozers destroyed the river bed when they were used. The municipality most probably has a point but it would be foolish to leave the reeds in the river bed with the winter season fast approaching. They are just setting up the residents in the area for another flood when heavy rains fall in the mountains. Driving through Montagu one could still see evidence of the devastation caused by previous floods.Parts of the banks of the river had been washed away and many of the reeds that had been displaced in previous floods were still lying where they had been washed ashore by the flooding river. 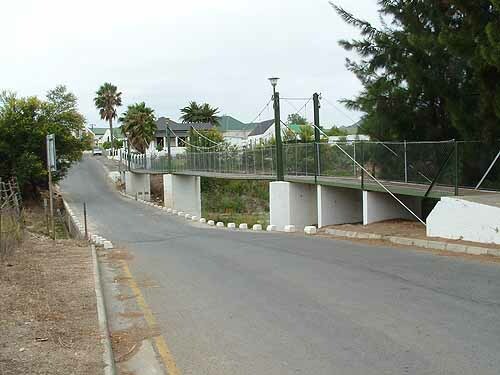 Montagu for some unknown reason has a number of low lying bridges which cross the river in parts of its residential area. Even when there is a moderate flow of water the bridges have water running over them. The bridges become totally impassable when the Keisie river is in flood causing residents living to the west of the river to be cut off from the rest of the town for days or having to be rescued by helicopters if their houses are threatened. 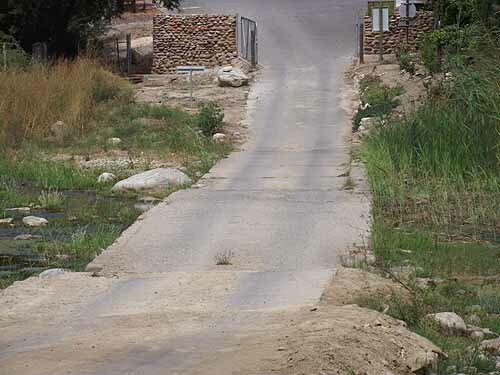 On the eastern side of the town Long Street which forms part of the R62 highway runs parallel to the Kingna river which flows approximately 100 metres from the road. In 2008 when the Kingna river came down in flood buildings and schools along this road were flooded. The sad part is that many of the buildings along Long street are of a historical nature being Cape Dutch designs and hundreds of years old and when they are flooded much damage is caused to them. 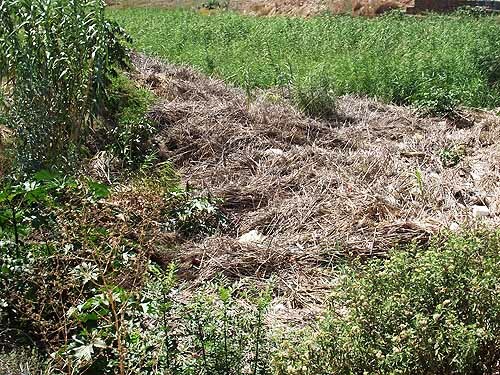 The municipality does not seem to care if its heritage is destroyed as the water course of the Kingna river is also filled with reeds. 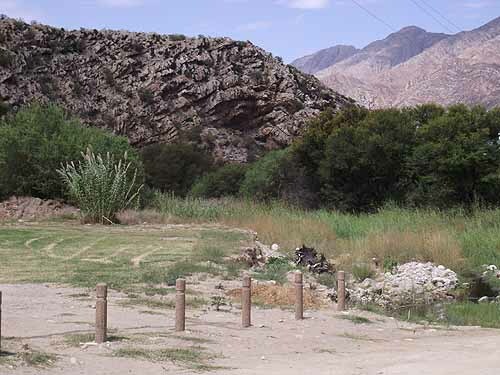 At the entrance to the Cogmanskloof pass between Montagu and Ashton there is another low water bridge and not only is the gap under this bridge silted up with sand, it is also full of reeds. This bridge is built where the Kingna and the Keisie rivers intersect before becoming the Kingna river and flowing through the Cogmanskloof valley with its spectacular rock formations to Ashton and beyond where it empties itself into the Breede River. This intersection of the rivers is already of concern and only gets worse when the rivers are in flood.Any blockages at this point in the river will cause the flood waters to backup and flood the town. Not only will the town be flooded but the road out of town to Ashton will become impassable. With the current silting up of the river under the bridge this area is a flood waiting to happen. On the Ashton side of the Cogmanskloof pass the river runs around a large orchard which has had to be rebuilt and replanted on a number of occasions as much of its soil and trees were washed away when the river came down in flood. The riverbed along this section of the river and all the way to the railway bridge in the centre of Ashton is also filled to capacity with reeds. Underneath the road bridge in Ashton the reeds which were deposited there during the last flood are still there today. No one has bothered to clean them away so that the river will have an unhindered path through the town. I don't know who is in charge of the municipalities of these two towns but if they don't want their towns flooded the next time heavy rains fall in their vicinity they had better get the river beds cleared of reeds and debris. Surely experiences of floods in the past have shown them what damage the rivers cause when heavy rains fall. In the meantime however one should visit these interesting historic towns and buildings and enjoy the fresh food and wines produced by the peoples of the area. One restaurant I can recommend is the Oude Kombuis in Long Street. Its food is good, fresh, home made and the service is great. What more could you ask for?